Nothing can get the adreline flowing like the bawl of hounds under a "short-treed lion". The last 100 yards to the tree blood pumps, hairs stick up and eyes don't dare blink. 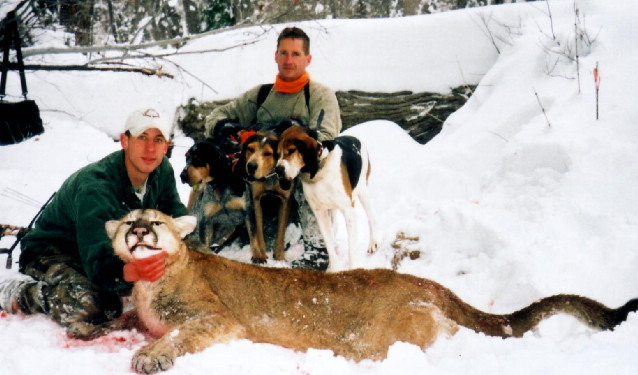 Brent McGhie is holding the hounds that caught this huge lion for Kade. Most lions caught are filmed and released but a few big ones such as this will make a fine trophy.